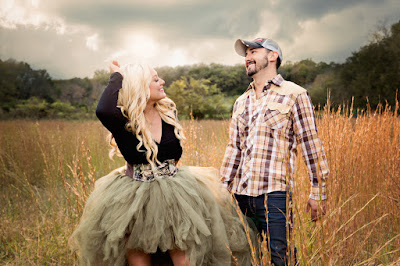 Lovin' Lyrics Music Promotions: HASTING & CO RELEASES VIDEO FOR NEW SINGLE, "AMERICAN LOVE"
HASTING & CO RELEASES VIDEO FOR NEW SINGLE, "AMERICAN LOVE"
Country duo Hasting & Co has released the music video for their latest single, "American Love." The video is a tribute to lead vocalist Kate Hasting's parents who were in a tragic car accident last summer taking the life of her father Dan and leaving her mother Libbee in critical condition. In an interview with Sounds Like Nashville for the video's premiere Hasting said, “This song was something we felt like we had to release. My father didn’t survive the accident and it’s arguably the hardest thing we’ve all ever lived through.” The nostalgic video features shots of her father farming and photos of Dan and Libbee throughout their life together. The duo's last video "Behind The Bleachers" earned the director Nishan Gilmet (who also directed "American Love") an Emmy nomination after the video was picked up by Great American Country (GAC) and the band stays busy on the road performing over 150 shows per year. Hasting & Co will also partner for the second year with the Firefighter Behavioral Health Alliance for a benefit performance with Pam Tillis October 18th. Last year's performance featured Collin Raye and aligned with the release of Hasting & Co.'s EP, "Can't Get Enough."